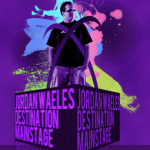 This month, Jordan Waeles will be showcasing his project First Effect! Ranging from laidback progressive trance to full-blown uplifting trance, the productions and remixes of First Effect have met an ever-growing support amongst the big names! 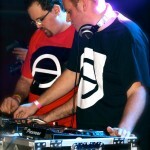 Tune in for a showcase of their latest remixes! ! 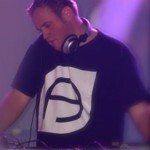 Tune in monday 20th of May, at 20.00 CET on Digitally Imported trance channel. 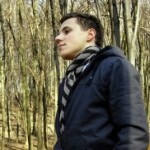 18/06/2011 / Be the first to comment! / Be the first to like this! 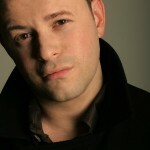 This month, Jordan Waeles welcomes London-based Darren Tate. With tons of releases under many aliases such as DT8 Project, Angelic, Citizen Caned and Jurgen Vries, he's absolutely no newcomer to the trance scene. His singles have charted in top50 across Europe, and he'll be bringing a set full of lush progressive vibes and dancefloor monsters! 07/06/2011 / Be the first to comment! / Be the first to like this! This month's guest is Arnesto, young talent from Poland. Creator of mash-ups that were supported by Armin van Buuren and other great names, he’s also an upcoming DJ & Producer, delivering uplifting beats at their best! Tune in monday 18th of April, at 20.00 CET on Digitally Imported trance channel. 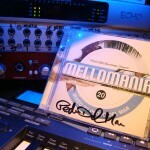 Mellomania 20 features a track of mine! After all these years of work (almost 8 now), a track of mine has finally been picked in an official compilation! Pedro Del Mar has picked the Christopher V, Cylum & Velden remix of our track "First Effect feat Olivia - Humanity Highway" for his now famous compilation "Mellomania 20", released by no other label than Blackhole recordings! Amongst other tunes by the likes of Dash Berlin, Richard Durand, Adam Nickey, Roger Shah, Aly & Fila, Kirsty Hawkshaw, Cosmic gate, Cerf, Mitiska & Jaren, you'll find First Effect feat Olivia - Humanity Highway (Christopher V, Cylum & Velden remix)! For those who haven't been following, First Effect is a project of Christopher V and myself, focusing on progressive and uplifting trance. It's an honour to be featured on such a great CD, and I can tell you it feels great to hold the first material proof of many, many years of work getting our sound right. Of course, it's not finished, and it gives us a great boost for many other original tunes and remixes! To support First Effect, go buy the release here: First Effect feat Olivia - Humanity Highway (all mixes) on trackitdown.net , or purchase this great compilation by Pedro Del Mar. It has been #3 of the best compilation sales on Amazon, by the way! The podcast is back to life! I've updated the podcast, and I'll update it some more in the upcoming days.